Lovatts have been supplying the North American market for many years, hence we have created this popular crossword. 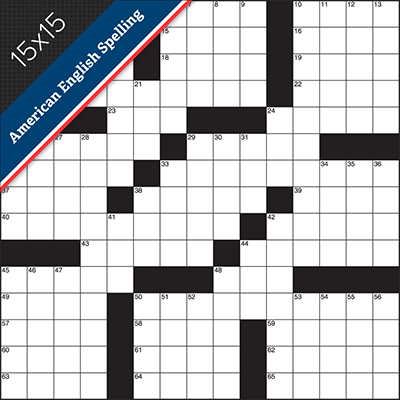 All of these crosswords contain US English spelling – the English spelling used in the USA, Japan, the Philippines, Liberia, etc. Examples include: HONOR, LEVELED or PEDIATRICIAN. The American clue style is more elliptical, even cryptic, and does not include break-ups for phrases or hyphenated words so the clue for HOLDUP might be ‘Delay a crime’, ‘Bank job’ or ‘Sundance activity’. 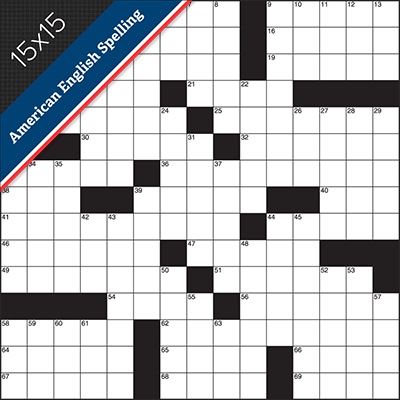 These American style crossword grids have more words as the words intersect on nearly every letter and the grids contain fewer ‘black squares’. 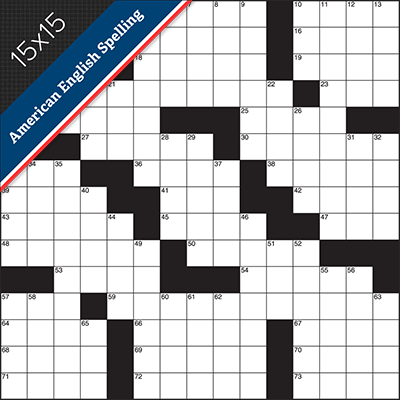 15 x 15 American style grid; American style elliptical clues; US English spelling – for American English users. 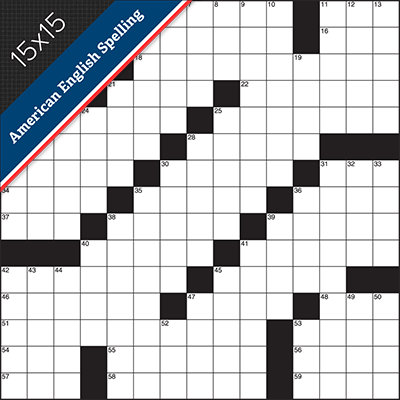 15x15 American style grid, American English spelling, American style clues.